I recently had the pleasure of trialling the 3 step system from Liz Earle and I know lots of you have been waiting for this review, I remember watching her on breakfast TV and thinking what lovely skin she had....So when she brought her own range out I thought my skin was in good hands. I must confess though I already love the Cleanse and Polish Hot Cloth Cleanser, I won a competition a while back and received a small bottle of it with 2 cloths and was instantly smitten. I was interested to find out what the toner and moisturiser were like too. Well it all came in gorgeous packaging, you could tell someone had lovingly prepared it and the items are packaged nicely too and look good in my bathroom. I love this cleanser it has to be said, I already liked using a warm muslin cloth for cleansing with the Pond's so I was no stranger to it and at the moment it really is my favourite way of cleansing. The bottle is a pump action one so you can pump out as much or as little as you need and you do not need a huge amount. I like the smell (it contains eucalyptus, rosemary oil amongst other natural ingredients) and the way it goes on the skin so gently but thoroughly and effectively cleansing the skin and removing ALL my make-up including waterproof mascara. I used to feel like cleansing was a chore but I actually look forward to doing this twice a day! I had clean, soft fresh skin immediately and just 2 days later my skin was clear and provided a great canvas for my make-up. I am also pleased that it doesn't use things like SLS, parabens and similar. It is suitable for all skin types. To use - pump out 1 or 2 squirts, gently massage into the skin and then remove with your hot cloth, if you want you can also splash afterwards with cooler water. It is multi award-winning and you can see why, it really is fab and I will be sad when it finishes! But I have to keep on trying other products in the interests of the blog. 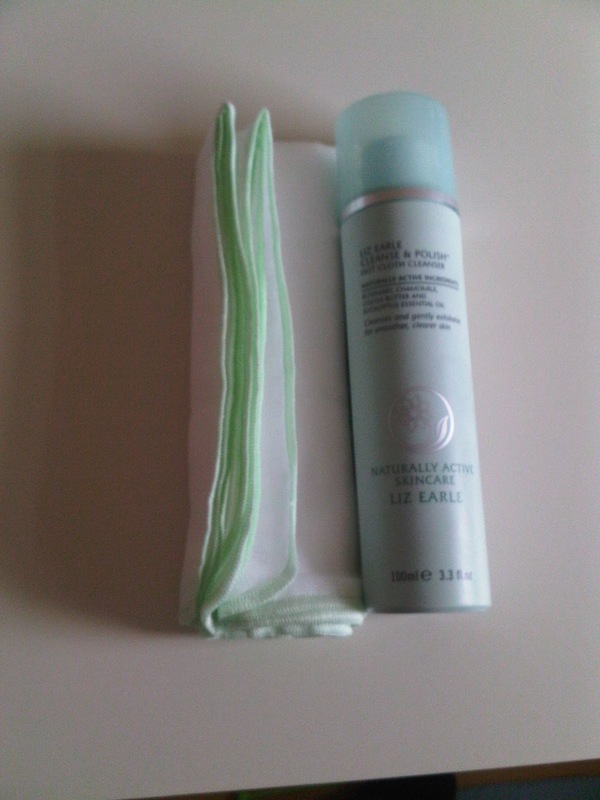 As a favourite, this is my number one cleanser so far..... 100ml with 2 muslin cloths is £13 from the Liz Earle website but I believe John Lewis also is a stockist. 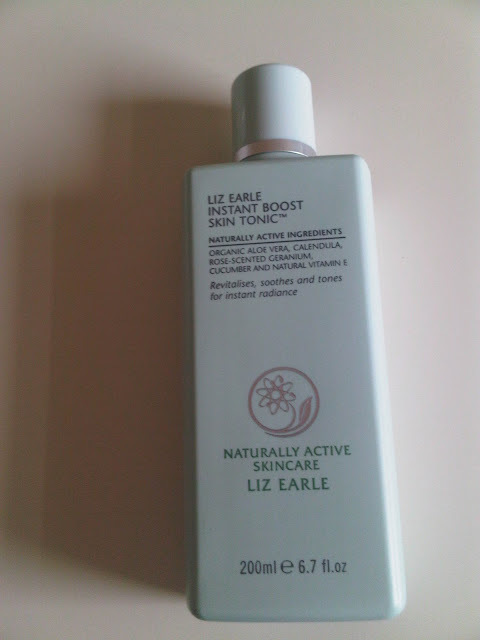 Another great product from Liz Earle, the bottle was interesting for a start..the lid twists up like a sports bottle which got me the first time I used it. This is very refreshing after cleansing, it was cooling and slightly tingly on my skin and as mentioned above when I swept the cotton wool over my face there was absolutely no trace of make-up so it remained clear. It smells lovely too and I did notice my pores closing up. The toner doesn't contain any drying alochol and contains hydrating organic aloe vera and rose scented geranium. 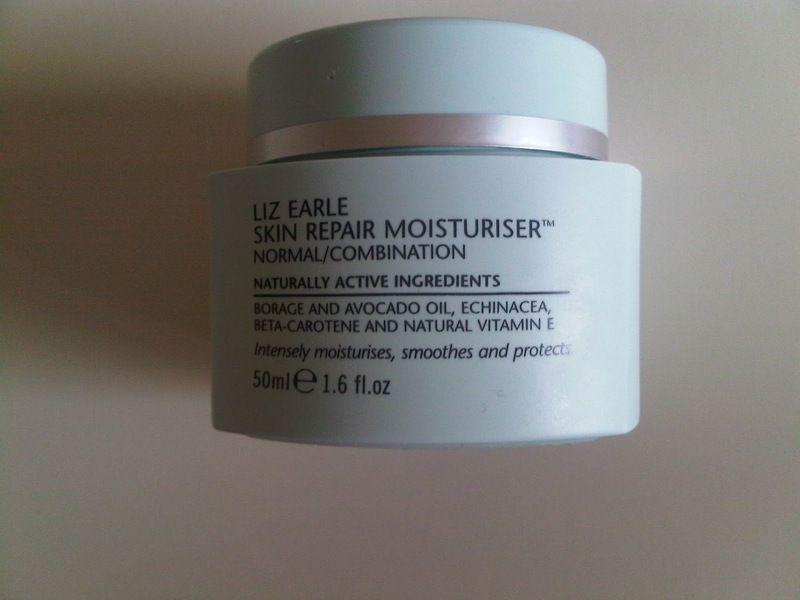 Liz Earle says that it revitalises, soothes and brightens, whilst it smells good and is very nice I am not sure it brightened my skin but it did revitalise and soothe my skin and at no time did it feel dry and tight. If it sounds like something you would like to try it is available as before from www.uk.lizearle.com costing £17.50 for a 50ml jar. 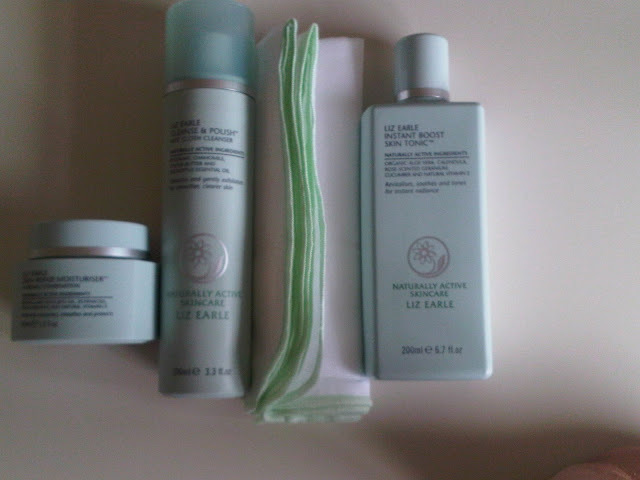 I love Liz Earle products and I really like the sound of the cleanser with the muslin cloth.